TMNT THE MOVIE SHREDDER COMPLETE THIS IS PRE OWNED BUT STILL IN VERY NICE CONDITION! PLEASE LOOK AT ALL PICTURES AND ASK QUESTIONS BEFORE YOU PURCHASE! THANKS FOR LOOKING AND PLEASE TAKE A LOOK AT MY OTHER LISTINGS! PLEASE PAY WITHIN 4 DAYS AFTER PURCHASE! I ONLY ACCEPT PAYPAL! RETURNS ARE NOT ACCEPTED SO PLEASE MAKE SURE YOU LOOK AT ALL PICTURES AND ASK QUESTIONS BEFORE YOU PURCHASE! PLEASE MAKE SURE YOUR ADDRESS IS CORRECT BEFORE YOU PURCHASE! I DO NOT OFFER INTERNATIONAL SHIPPING! These are the Playmates Versions. Battle Shell versions, their shells "open" up for storage. United States:FREE. As a bonus, mini-fig of young Leonardo included! Teenage Mutant Ninja Turtles. Year: 2012. TMNT CGI Movie. Mirage Playmates 2006. 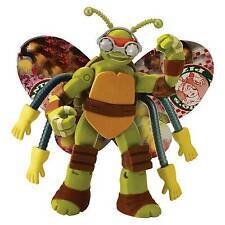 APRIL O'NEIL Action Figure 5 inch TMNT Out of the Shadows. Condition is New. Shipped with USPS. 2000sTeenage Mutant Ninja Turtles Donatello Action Figures Lot Mirage Studios 5". Condition is Used. A Diamond Select Toys release! With this box set, DST is taking the TMNT back where it all began! 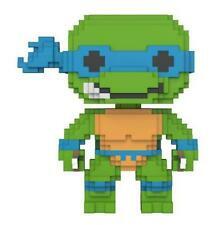 TMNT Minimates. Sorry, no exception to this. It is required by the state of Alabama. 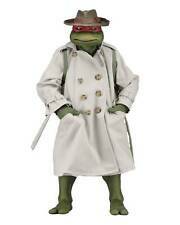 NECA Gamestop Exclusive TMNT Leonardo 7" Figure - Ninja Turtles - IN HAND. Condition is New. Shipped with USPS Priority Mail. 2006 TMNT Teenage Mutant Ninja Turtles Playmates Casey Jones Action Figure - NEW. Condition is New. Shipped with USPS Priority Mail. Includes sword and removable helmet. Good used condition. 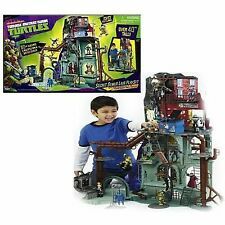 TEENAGE MUTANT NINJA TURTLES CLASSIC COLLECTION. Orders unpaid will go to an unpaid item case. Neca TMNT 2019 FOOT SOLDIER 1 FIGURE Loose Teenage Mutant Ninja Turtles Target. Condition is Used. Shipped with USPS First Class Package. Custom Marvel Legends Casey Jones TMNT NECA Figuarts Mezco 6”. Condition is Used. Shipped with USPS Priority Mail. 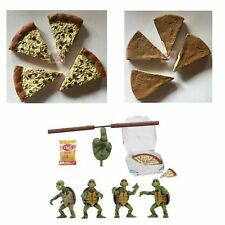 Teenage Mutant Ninja Turtles Half Shell Heroes. 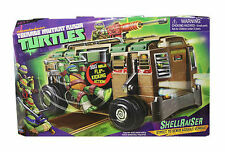 Rare 2002 Playmates Toys Teenage Mutant Ninja Turtles BATTLE SHELL ARMOR VAN . Played with condition but no major damage. As pictured. Condition is used. Shipped with USPS Priority Mail. Teenage Mutant Ninja Turtles (TMNT) 4 Piece Set Classics (Slight Customized - Whited out eyes per preference). These are the authentic figures. Slight wear and tear such as Michelangelo’s nunchucks. Condition is Used. Shipped with USPS Priority Mail. (Tip: The knockoffs will not have possible toes/fingers) Good luck hunting! NECA - Iron Maiden. Straight from the cover of Iron Maiden's 1983 album Piece of Mind. Piece of Mind - Eddie 8". Eddie is dresses in tailored fabric clothing. "Excellent item. Prices and availability of products and services are subject to change without notice. AGES 4 , MADE BY PLAYMATES TOYS. BETTER GET ONE WHILE YOU CAN. This lot contains all 4 of the Turtles in the Series 2 Set! 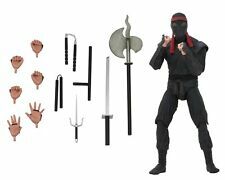 Get the complete set and see who will be the sewer champion in the dojo! Who will be crowned the next champion of the sewers?. Fully articulated for ultimate Ninja wrestling action. 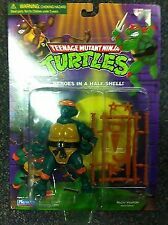 Teenage Mutant Ninja Turtles 4 lot / set Figures Playmates 2002 New Sealed. Condition is New, but not mint. 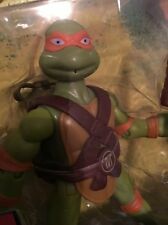 Donatello has a mark on the top of the cardboard. Some light scuffs on the plastic. See pics for details. Any questions feel free to ask. Figures will be bubble wrapped and put in solid box for protection. Shipped with USPS Priority Mail.